The Kryon books feature channeled information from Kryon, a loving angelic entity channeled by Lee Carroll, the original Kryon channel. This work is now almost twenty five years old, having been started by Lee in 1989. Lee is recognized worldwide as the original channel for Kryon, and has been honored over the years by seven United Nations invitations to channel Kryon at the UN building in New York city. The Kryon seminars are presented all over the USA and Canada, western Europe, Israel, Russia, Bulgaria, Poland, the Baltic states and much of South America. Written in 1989, and published in 1993, this original Kryon white covered book set the stage for a multitude of work to come... seminars, books, tapes, and countless changed lives. 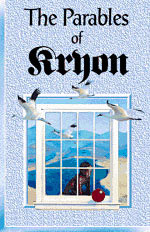 It continues to be the best-seller of all the Kryon works, even though it is the oldest. 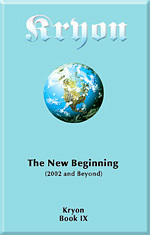 This is the Kryon book that is published first in all the foreign languages around the world. Go to https://www.kryon.com/k_11.html for a list of contents and further information on this book. Published in 1994, this second Kryon book was the first to become more practical, and started a tradition... present in every Kryon channeled book from then on... the SCIENCE chapter. Kryon's real-world approach to something so "weird" as channeling has brought us continuous scientific validations of what he has told us to look for. Go to https://www.kryon.com/k_12.html for a list of contents and further information on this book. Published in 1995, this third Kryon book was the largest so far... 376 pages. It continued the lineage of practical information, gave the best channellings of 1995, and broached some new subjects (like ascension and responsibility). The attribute that marks book three is all the MATH (gulp). The reference to 9944 is researched by two mathematicians, and an entire treatise on the value of pi is given (since Kryon tells us that our pi is incorrect. Kryon tells us that it reflects a sacred elegance, and is a whole number!). Go to https://www.kryon.com/k_13.html for a list of contents and further information on this book. Published in 1996, this Fourth Kryon book was extremely special. Louise Hay, bestselling author and pioneer of New Age healing thought, became interested in the Kryon work. Her publishing firm, Hay House, offered to assemble the 20 best Kryon parables from the past three years. The book became The Parables of Kryon, and set the stage for a strong Kryon/Hay relationship. 19 of these parables (4 hours worth!) have been recorded and are available FREE for you. The parables are read by various actors, children and individuals (including Lee & Jan) and are each scored with custom music. You can HEAR them HERE. Go to https://www.kryon.com/k_14.html for a list of contents and further information on this book. Published in late 1997, this Fifth Kryon book started as a hard cover Hay House book with full color illustrations by Pax Nidorf (No longer available). It was later released without illustrations in paper-back. Unlike any other Kryon book, however, this one was a novel! 'The Journey Home' was actually a live channeling given in Laguna Hills, CA, in December 1996. This stirring story is about a man named Michael Thomas who enters a land of seven angels in seven houses. Within this simple spiritual story of a man trying to go "home" is embodied all of the practical living principles Kryon has been teaching since he arrived in 1989. The novel is packed with metaphors about real human living, and has become the basis for the Kryon seminar formats of 1998 and 1999. So profound are the hidden meanings, that separate workshops have been created where the book is literally "taken apart" to reveal the sacredness of the messages within it. The messages? Human enablement - our relationship with God - what humans can do for themselves in the New Age - what God expects from us - the way things work. The adventure is actually about one word that is never mentioned even once in the text. There is something for everyone within its pages - an adventure, danger, a battle to the death, spiritual purpose, love, and even romance. Driving to a surprise ending, 'The Journey Home' is the most unusual Kryon book ever written, and promises a format for future works as well. Go to https://www.kryon.com/k_15.html for a list of contents and further information on this book. Published in 1997, this sixth Kryon book continued the teaching channelling of Kryon books one, two and three. The largest of them all, this 400-page book is packed with practical information. Included are the most moving channellings of 1996 and 1997 from all over the world, plus scientific validations of Kryon predictions - a full chapter on the new 'indigo children" of the New Age - and a huge chapter revealing answers to the most asked questions of the past two years. Go to https://www.kryon.com/k_16.html for a list of contents and further information on this book. Published in 1999, this seventh Kryon book of the bestselling Kryon series is the last channelled one before the turn of the century. It deals with exactly that subject: channelled good news from a very loving entity that gets us ready for the "New Jerusalem." It is the largest Kryon book yet, and includes channellings from all over the world, especially those given in 1998. Also included is the transcription of the "Family Series" of channellings, and the transcription of the 1998 United Nations visit. Go to https://www.kryon.com/k_38.html for a list of contents and further information on this book. This is the Kryon millennium book. Sequential channellings from all over the world lead you right into, and past the millennium shift energy. What's happening to DNA? What does Kryon mean by "The Third Language?" What about Kryon's science predictions and potentials? What can we expect next? What is the time line? What, exactly did we just accomplish? This 424 page book is packed with live channellings and some special features: 'An update on the Indigo Children', by Jan Tober; A chapter on what's happening regarding the indigenous "Council of Elders" recommended by Kryon at the United Nations (yes, it's happening! ), and also (finally) a full alphabetized index of all 8 Kryon books in one place! Go to https://www.kryon.com/k_42.html for a list of contents and further information on this book. The event of 9-11 changed our lives forever. This book is organized around the event, with channelling up to and right after the September tragedy. Did Kryon give us hints? What was the message the day it happened? There is much insight here, and also some potential things to think about? Was it a surprise to God? ... or something we had given permission for long ago? This 384 page book is packed with live channellings, including Kryon's Israel message delivered in Tel Aviv. Becoming interdimensional is the main subject, with a great many very personal loving solutions to every-day questions. Go to https://www.kryon.com/k_48.html for a list of contents and further information on this book. What's happening? Many have asked: "I thought these times would be filled with more peace!" This 408-page book is packed with live channellings from the years 2003 and 2004. 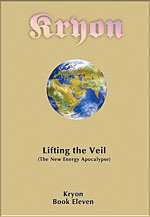 We are beginning the "war between old and new energy" that Kryon has spoken of for 15 years. Now we are in it, and are doing the "heavy lifting" for the planet. What's it about? What does it mean? Kryon says, "Do not despair!" These are the times which belong to you, and that you have created. They are the precursor for peace on earth. Go to https://www.kryon.com/k_52.html for a list of contents and further information on this book. The word apocalypse comes from the Greek and literally means, "Lifting the Veil." Is there anyone who thinks things are as they used to be? We are indeed at a crossroads of civilization, and the loving and comforting words from this Angelic entity called Kryon, continues to give us clarity. This is the Eleventh Kryon book in this 18-year series, and represents a culmination of live channellings all over the earth. Where is Earth going? Is 2012 a year to fear, or to celebrate? What is our real task on earth? Kryon's message has never changed, but the things he spoke of in 1989 have all come about. The hope of earth lays with the consciousness of the few, and their ability to transcend beyond a perception of doom and gloom. 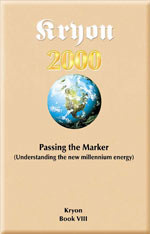 Celebrate 2007 with the good news contained in this 384 page book! Go to https://www.kryon.com/k_63.html for a list of contents and further information on this book. This is the twelfth book in the Kryon series. Three years in the making, it is the first book of its kind, and may eventually define the more than 20 year Kryon lineage. DNA is our chemical blueprint, but the Human Genome Project found that over ninety percent of it is not coded. In fact, only approximately four percent creates the 23,000 genes in the Human body. The rest? It's a puzzle to the extreme, and to this day there is no answer why most of DNA seems to have no symmetry or codes of any kind. In fact, it seems to be random. 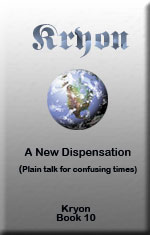 Kryon has now given us full channelled explanation of this, and brings it right into the quantum world. Is it possible that DNA is mostly quantum instructions - information that speaks to the Human body? And if so, what's in those instructions that comprise over 2.7 billion chemicals per DNA double helix? 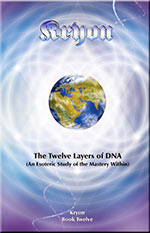 Here is a full revelation of the twelve layers or energies of DNA, complete with full color channelled illustrations of each layer by American-Israeli artist Elan Dubro-Cohen. Could it be that our entire Akashic record is carried in our DNA? What else might be represented? It starts to make sense, and the most recent discoveries of quantum physics only enhances the potentials of this quantum molecule. 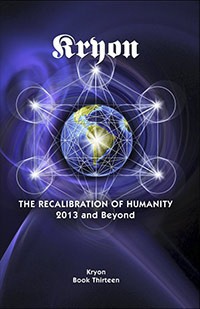 With a foreword by DNA researcher Dr. Todd Ovokaitys, this book is an esoteric breakthrough. Lee Carroll narrates throughout, and Kryon presents the actual energies of DNA. Go to https://www.kryon.com/k_66.html for a list of contents and further information on this book. Is it possible that we have actually turned a significant corner in the evolution of Humanity? When you look at the news and current events, does it seem extra crazy right now? Join author/channeller Lee Carroll and Kryon as they unravel the history behind what is happening, and present the many facets of the details. Is it possible that the entire reason for Kryon's being here is because of what we just did? Is all this too strange for you? Go to https://www.kryon.com/k_69.html for a list of contents and further information on this book. Have you ever wondered about Human Evolution? Are we actually evolving at all? 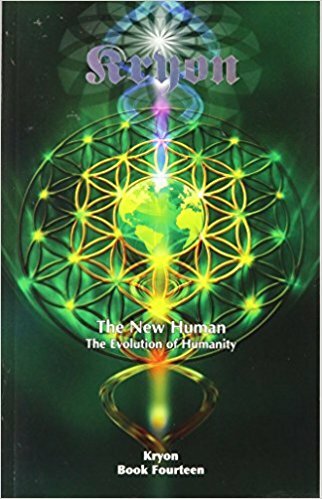 This entire book is dedicated to the channellings of KRYON, who lovingly describes some of the truly unexpected aspects of what THE NEW HUMAN means, and the coming evolution of our species. The phrase THE NEW HUMAN is the description of humanity as it starts to increase awareness. It begins to fulfill the prophesy of the Ancients, who indicated we would experience "The highest consciousness humans have ever seen," if we passed 2012. The book contains mostly unpublished KRYON channellings from 2013 though 2016, and includes all thirteen channelings from the profound Israel tour of 2015. We made it past 2012, and the shift is here! Are you ready to evolve? Go to https://store.kryon.com/category-s/101.htm for a list of contents and further information on this book. THE INDIGO CHILDREN TEN YEARS LATER - What's happening with the Indigo Teenagers!